Your Memories are forever, and the jewelry that evokes these memories should be too. However, sometimes we'd like to add just a bit of spark to bring new life to those pieces. Custom is the best way to go. 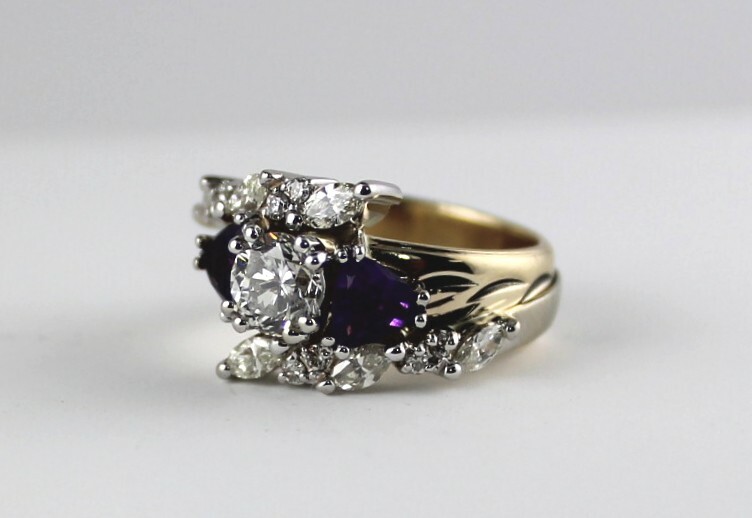 No matter how many sentimental pieces you have, we can incorporate them into one stunning piece. Shown below is an awesome project that George just finished up. 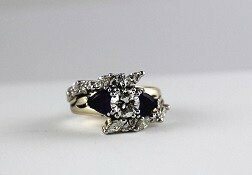 We had the honor and privledge of redesigning a customers wedding band, Diamond band and Diamond ring. The Customer also wanted to incorporate two Amethyst stones in the front along with each of her children's birthstones on each side. Here is the very unique part. 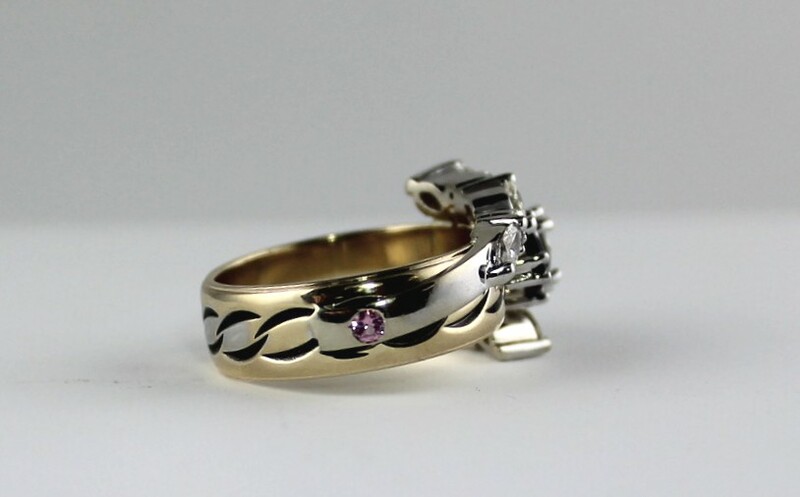 We kept her original Yellow Gold band and added all of the diamonds and gemstones right onto it. 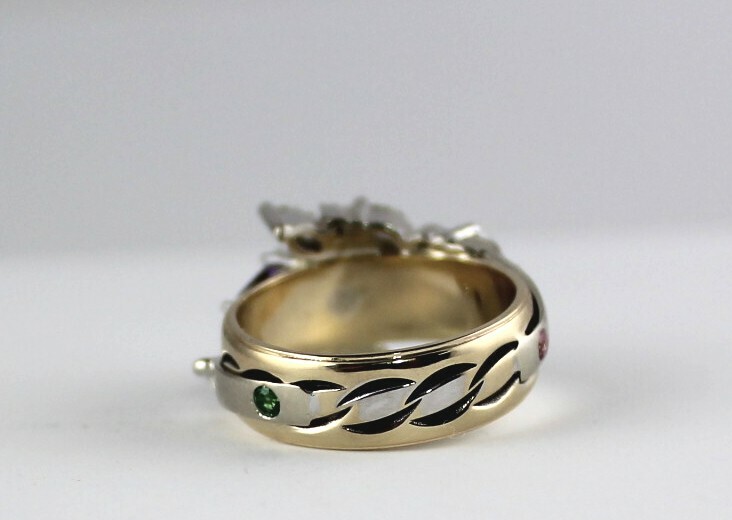 A White gold band gently tapers into the original Yellow gold band that has one Pink Tourmaline and One Emerald at each end. This one ring is symbolic of her whole family and a lifetime of memories. Stop in today to create your own masterpiece!